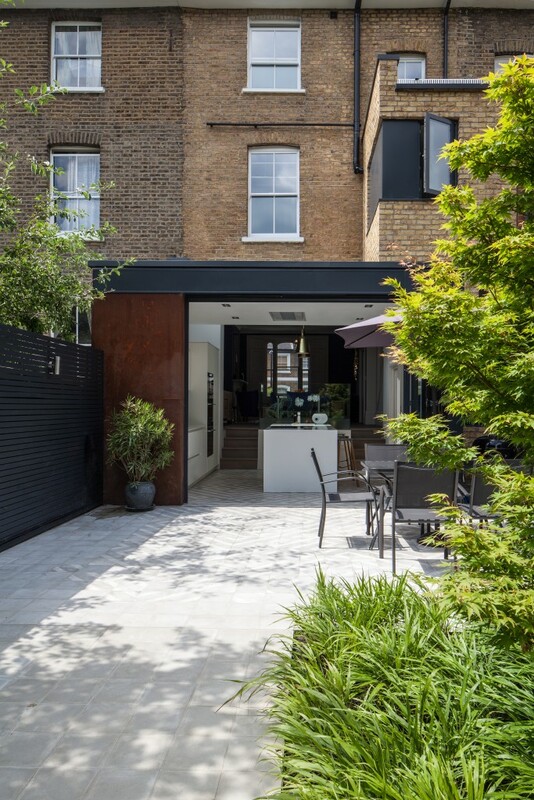 When our Client bought this 4 storey Georgian town house, it was in a severely dilapidated state. 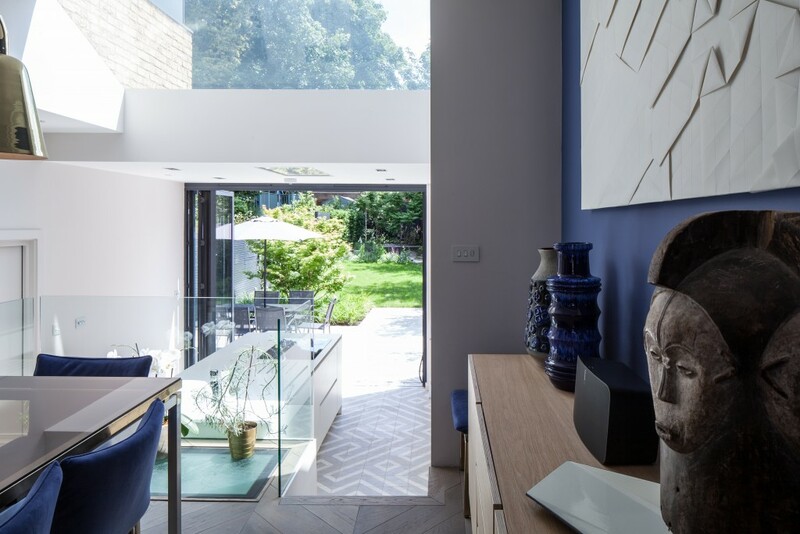 In addition to fully renovating the property, they also wanted to significantly extend the property at the rear due to the limited footprint of the existing house. 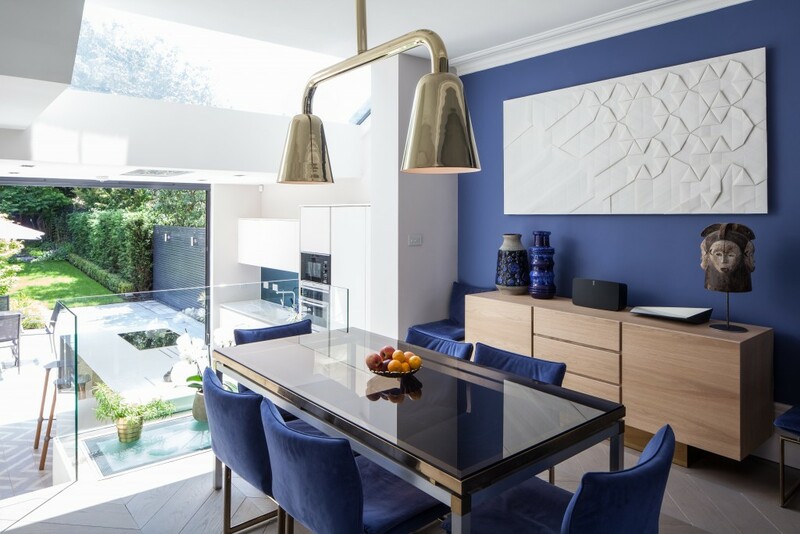 Initially, the Client wanted to separate the lower ground floor level into a self contained flat which could be sold to part fund the overall build costs, but emerging policy at Lewisham Council prevented exploring that option further. 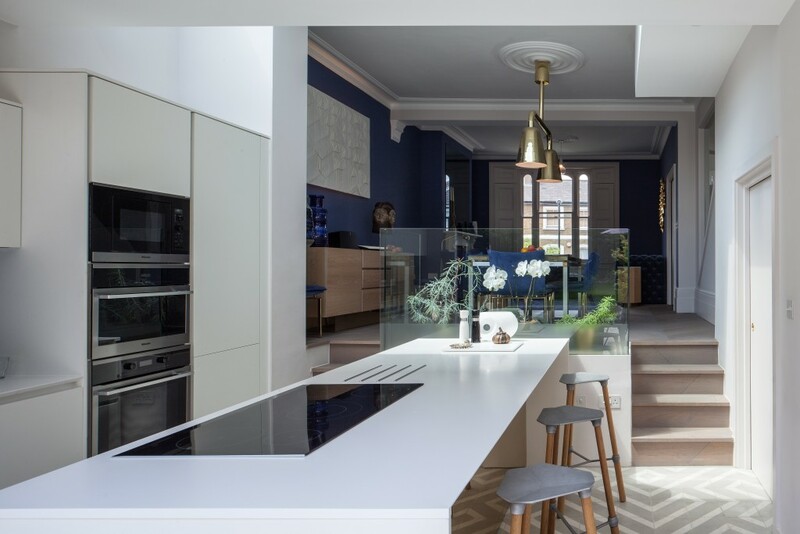 Following many design iterations, we developed a layout which would allow the lower ground floor to be easily converted into a separate flat subject to future policy changes. 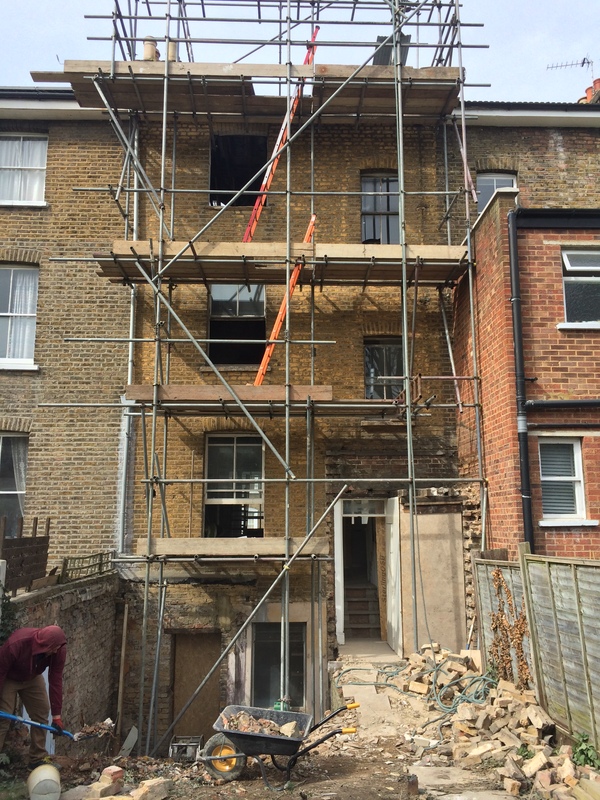 This involved demolishing the existing rear extension, together with the internal partition walls. 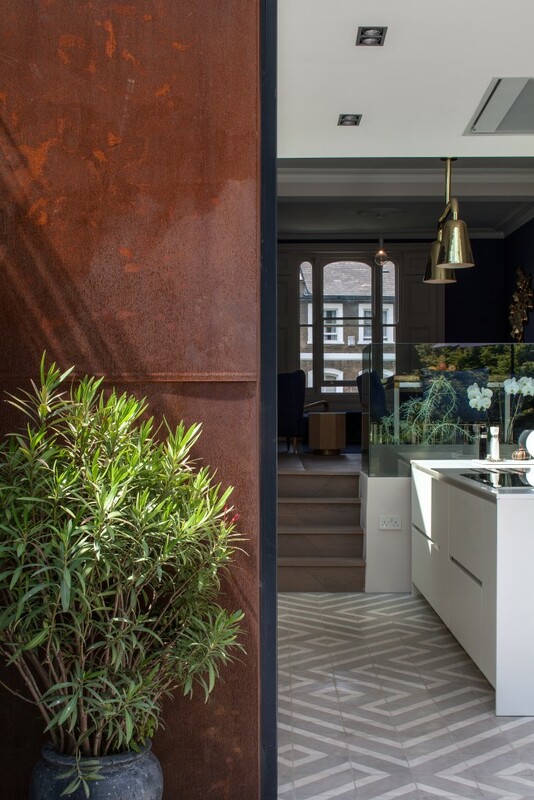 At raised ground floor level, the internal partitions were removed and the rear wall opened up to form a flowing sequence of spaces from the open plan Reception/Dining at the front through to the new split level kitchen extension and Garden Terrace at the rear. 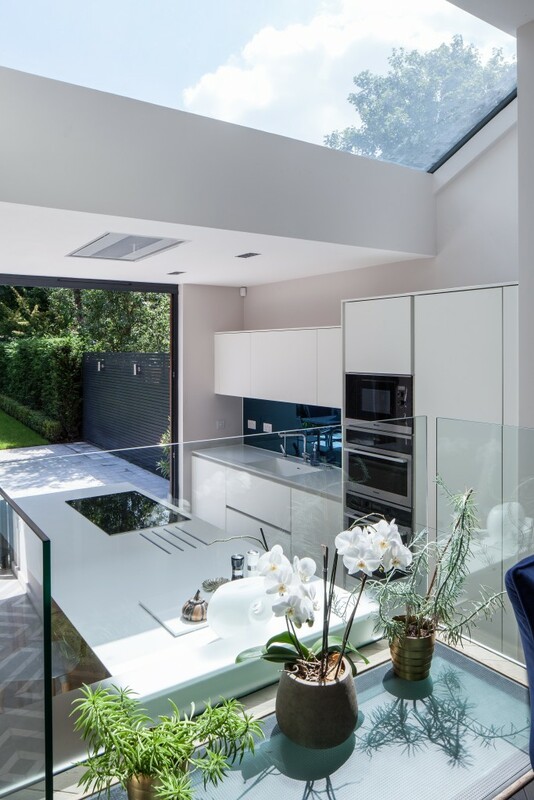 A large single panel of pitched glazing between the extension roof and the existing rear wall brings additional natural daylight into the Dining area and the lower ground floor accommodation through the translucent structural floor glass panel. 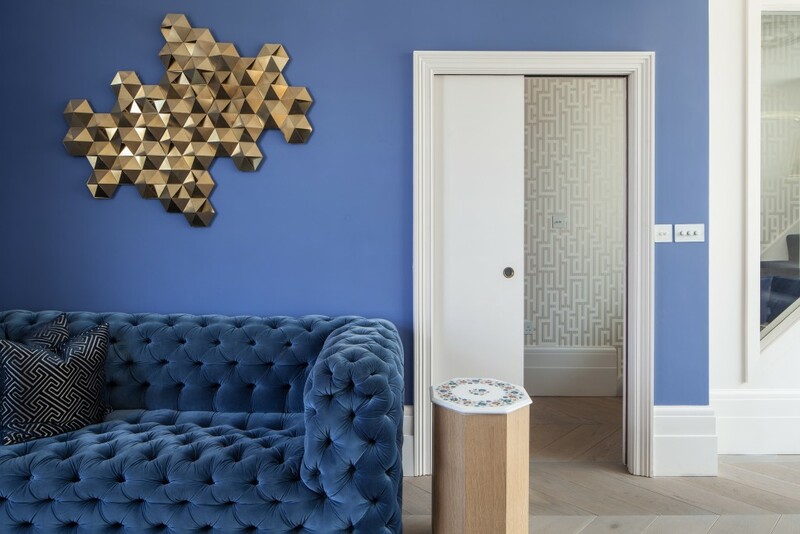 A triangular glazed fire screen provides a visual link between the staircase and Dining area while flooding the hallway with natural daylight. 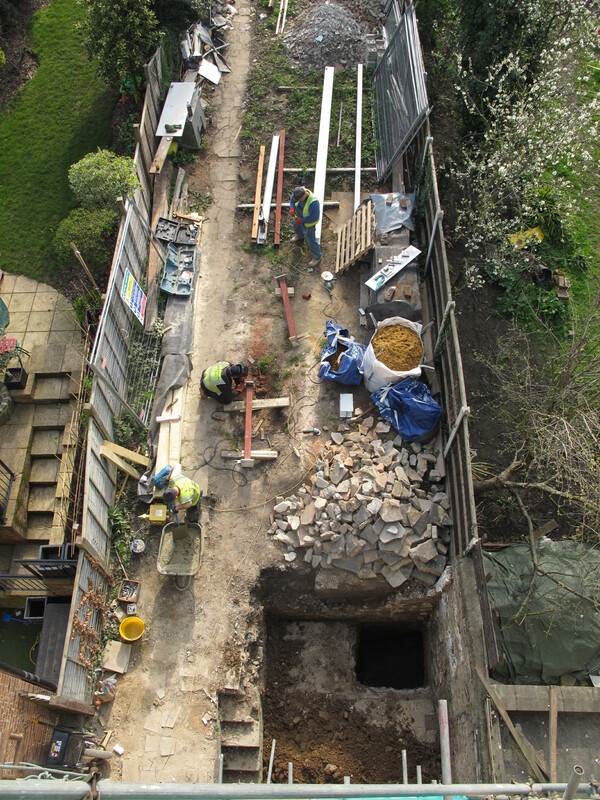 The new extension is set back from the north boundary to prevent overshadowing to the adjacent property and a separate WC is accessed from the stair landing down to the lower ground floor accommodation. The original staircase between raised ground and 1st floor level was removed and the new staircase reconfigured to provide access to the new bathroom from the split level landing. 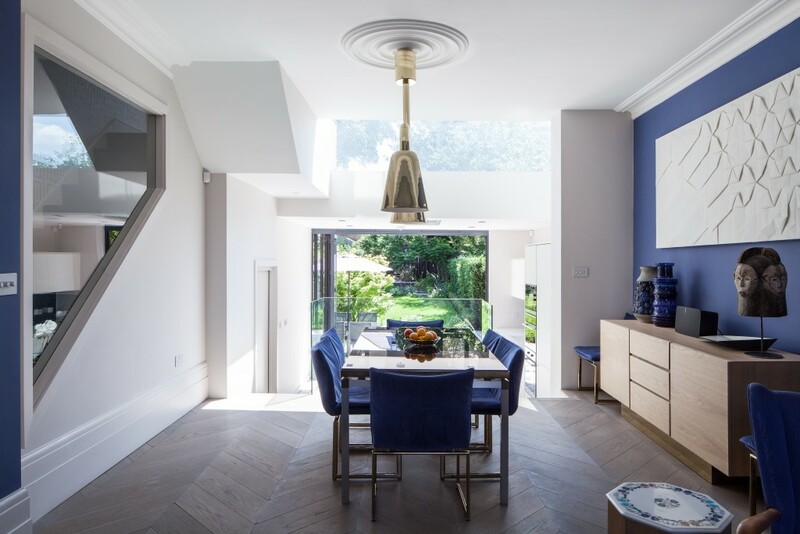 The rest of the 1st floor structure remained largely unchanged but the doors and windows were replaced with new double glazed units. 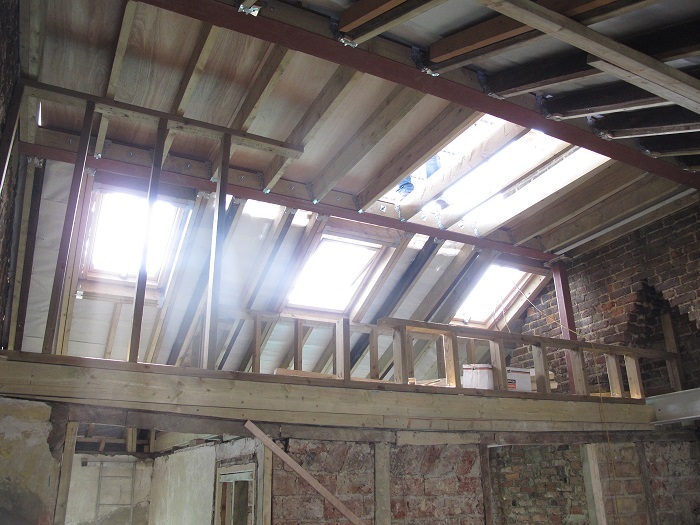 At second floor level, the ceiling joists were completely removed to reveal the pitched roof structure which was stiffened with a steel frame around the perimeter, re-tiled and fully insulated to comply with Building Regulations Part L1B. 3 No. 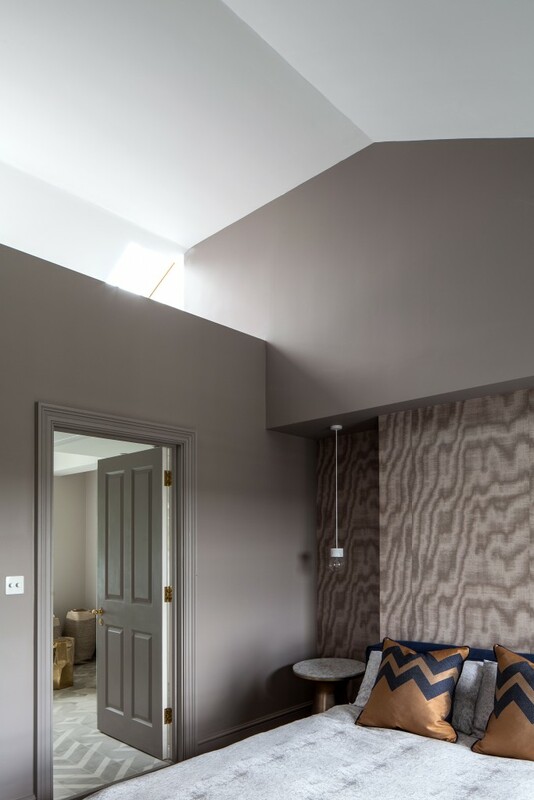 rooflights were installed in the rear roof pitch to bring additional natural daylight into the Hallway and Master Bedroom. 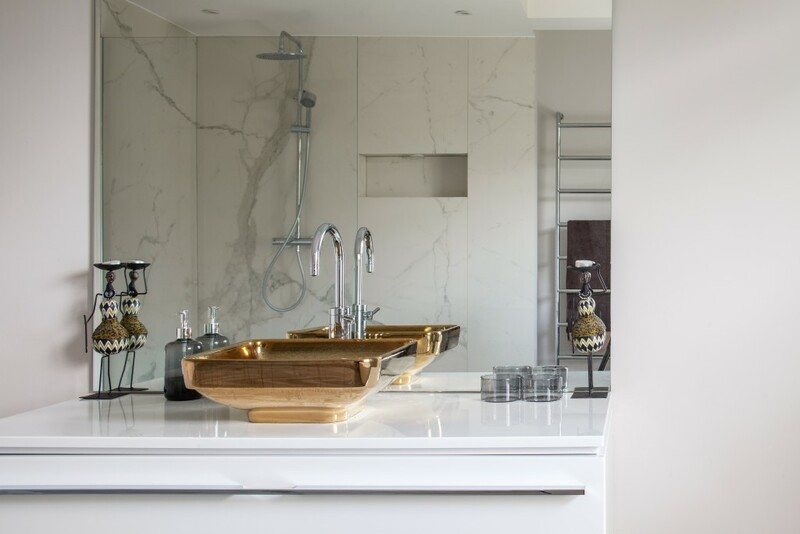 The whole house underwent a complete renovation and is now completely unrecognisable from the projects inception.